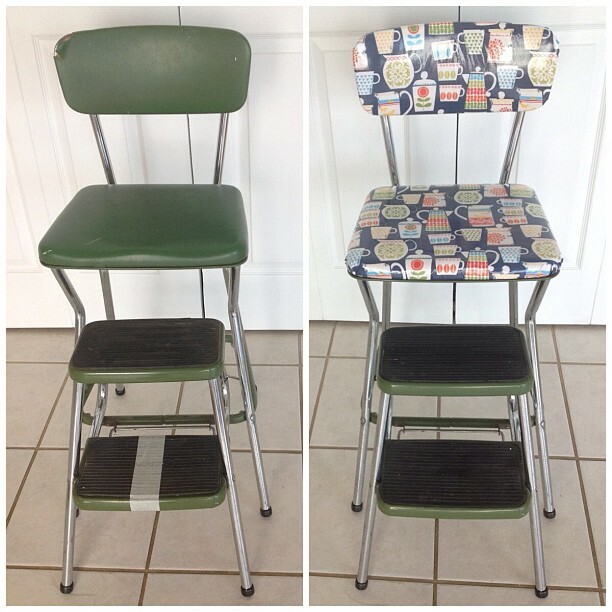 I turned a $10 meh stool into an awesome addition to my kitchen! I would LOVE to know how you did this, because I have that same chair AND that same fabric! LOL! Yes please! I have one of these stools! Yes. Yes, yes I am interested! I am getting one of these from my grandma and it is torn so I would love to know how!